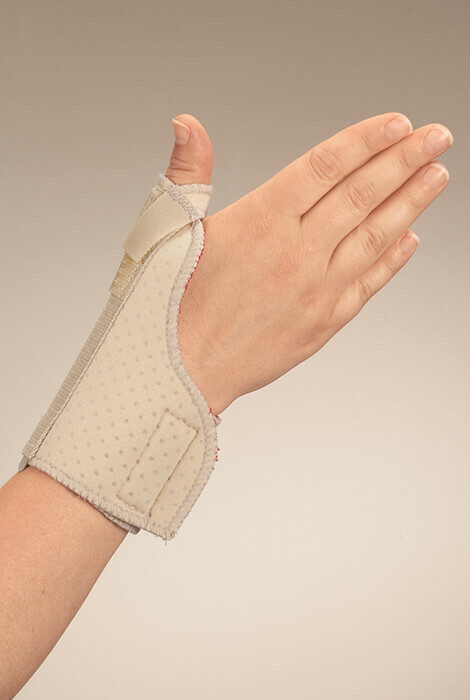 Arthritic thumb support cradles your thumb in comfort. 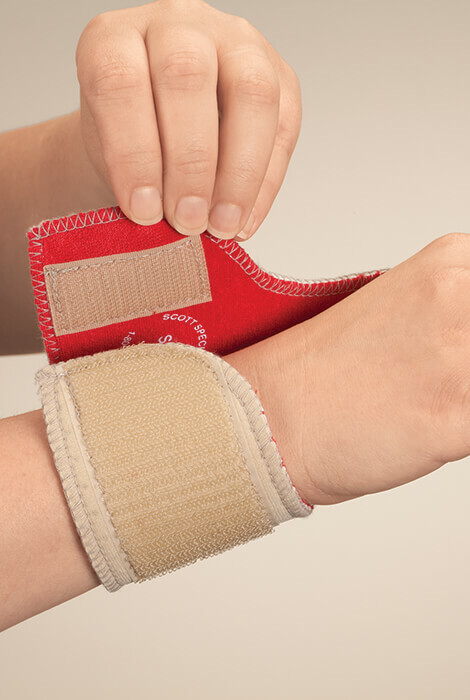 Ideal for soothing arthritis and repetitive strain, its triple-layer design wicks moisture from skin, retains body warmth, and insulates while encouraging circulation. 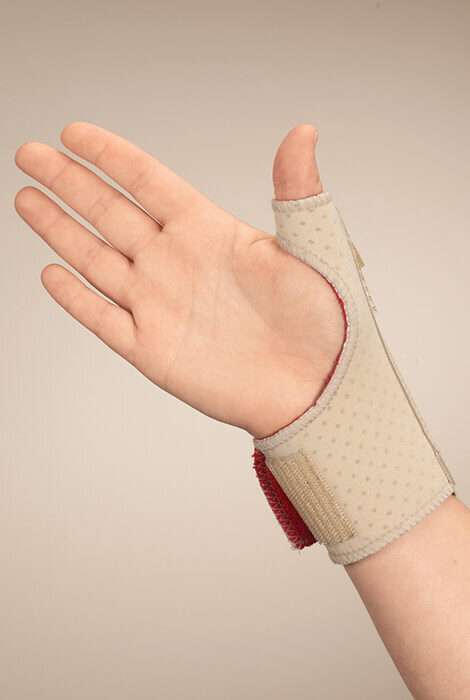 As the thumb brace supports either the right or left thumb in a neutral position to promote healing, it allows a normal grip and features a soft, antimicrobial micro-terry inner layer. Wear with or without the removable stay for custom support. Specify size: small/medium (fits wrists 5 1/2”–7 1/2”) or large/XL (7 1/2”–10”). Thumb stabilizer made with latex-free neoprene/nylon/polyester. Hand wash; dry flat. Made in USA. Supports either the right or left thumb. Includes removable stay for custom support. Specify size: small/medium (fits wrists 5 1/2”–7 1/2”) or large/XL (7 1/2”–10”). It looks as if it will support my thumb and wrist AND it's flesh color, not black.